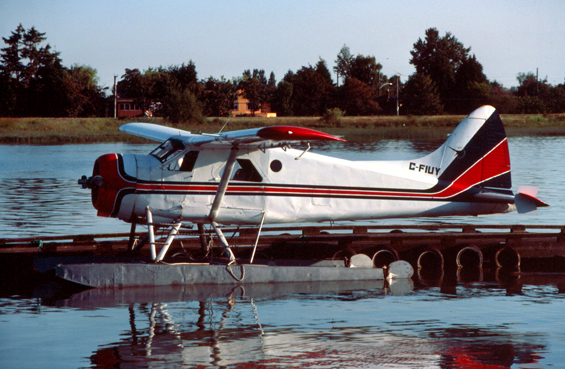 C-FIUY ready to leave Campbell River. 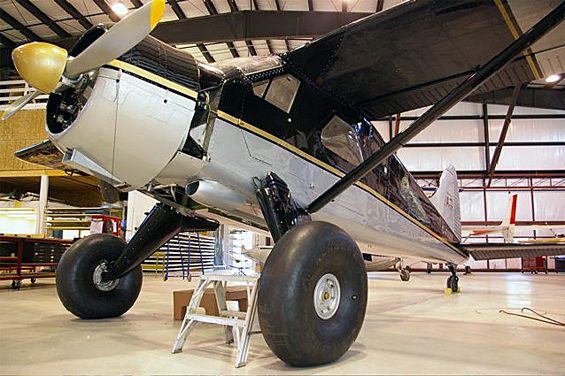 C-FIUY gets special treatment at Sealand. 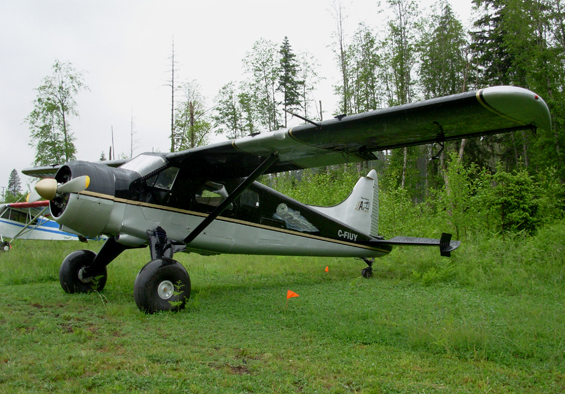 C-FIUY based at Fort St. John, BC. 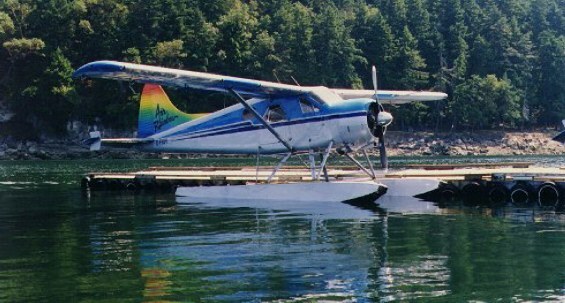 C-FIUY in a tranquil setting at Nanaimo, BC. click to view Neil's painting. 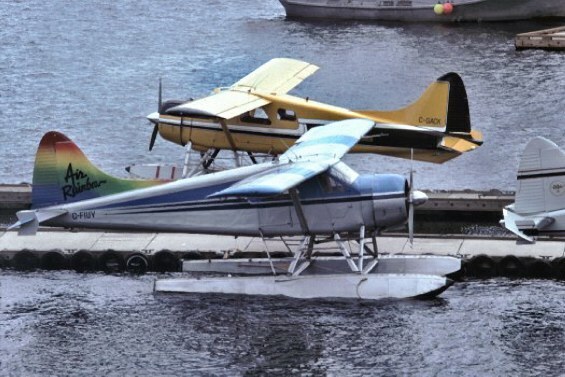 C-FIUY at Vancouver South seaplane base. CF-IUY many years ago at Port Hardy, BC. • CF-IUY BC Air Lines Ltd., Vancouver, BC. Delivered 03-May-1956. Accident: Juskatla, BC. 53.40N, 132.17W. 23-Mar-1967. 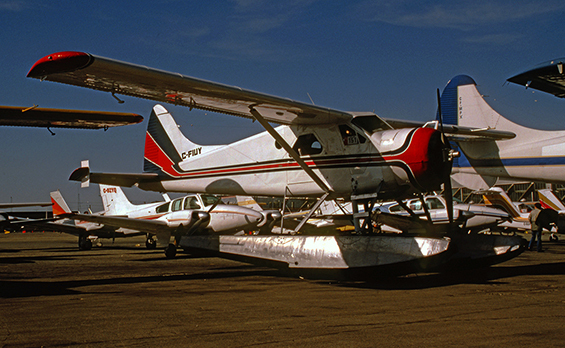 The pilot’s visibility was seriously impaired by sun glare on glassy water during landing in a restricted area. Aircraft collided with cluster of pilings during the landing run. 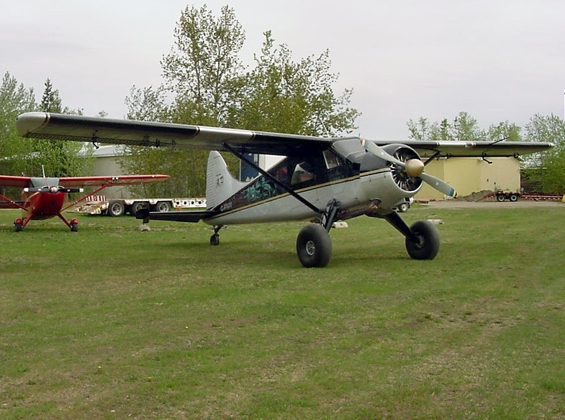 • CF-IUY Northland Airlines Ltd., Winnipeg, MB. Circa 1968. 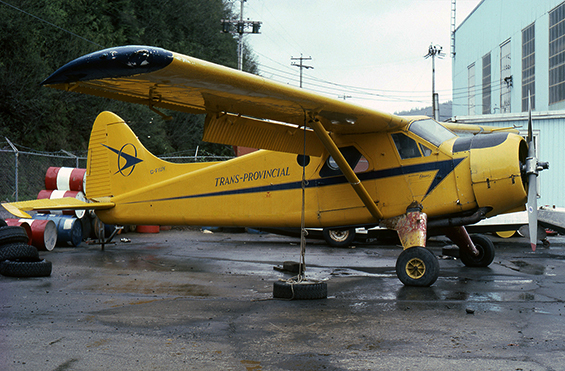 • CF-IUY Trans-Provincial Airlines Ltd., Terrace, BC. 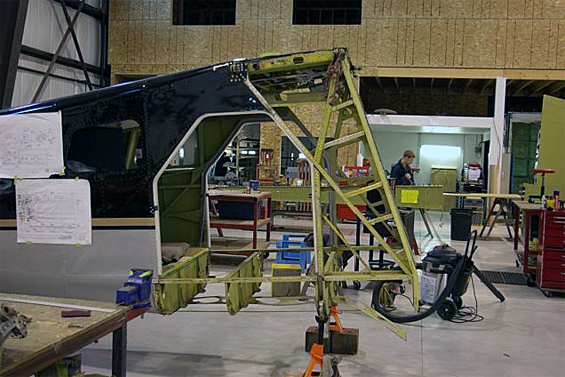 Regd at least prior to Certificate of Airworthiness renewal dated 03-Nov-1969. Regn date unknown. 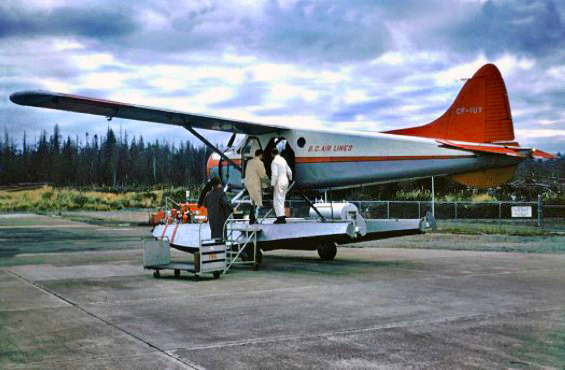 • C-FIUY Trans-Provincial Airlines Ltd., Terrace, BC. Accident: Sewell Inlet, BC. Lat 52.52N, Long 132.00W. 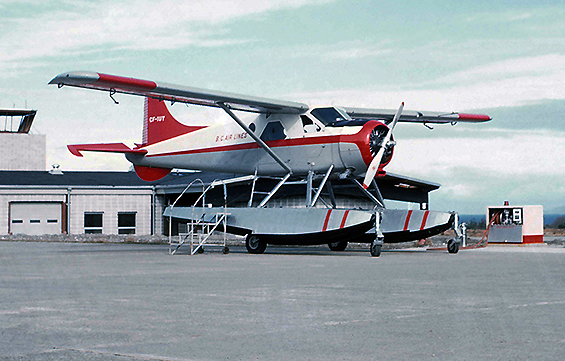 17-Apr-1973.The aircraft, fitted with amphibious floats, swung on landing on water with the left wing contacting the water. 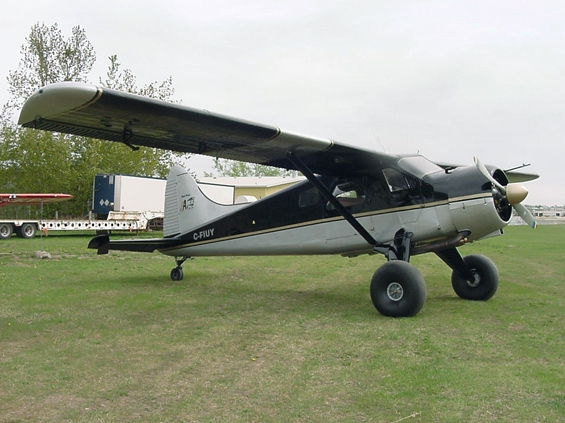 The pilot believes the main wheels dropped on landing. 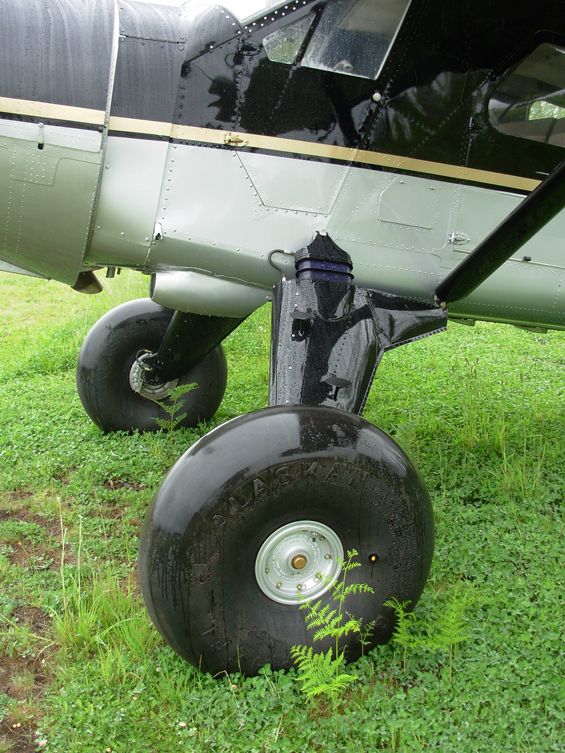 The pilot pumped down the gear and taxied to a beaching ramp. The pilot, D.A. Pick and two passengers were uninjured. The aircraft is reported as suffering substantial damage. • C-FIUY Air BC Ltd., Richmond, BC. On CCAR at May-1981. • C-FIUY) J. Pattison Industries Ltd., Richmond, BC. Canx 05-Dec-1984. • C-FIUY 239665 AB Ltd., Calgary, AB. Canx 11-Jun-1986. 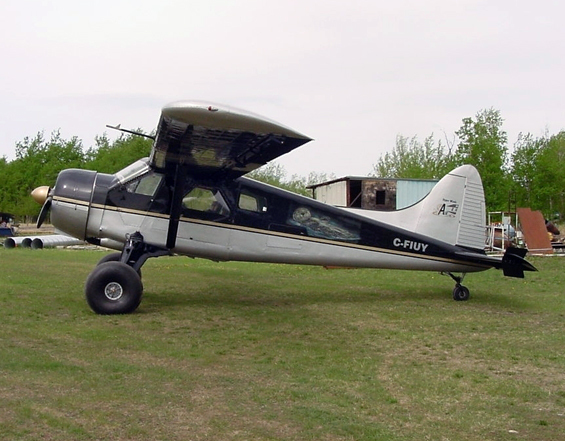 • C-FIUY Simpson Air (1981) Ltd., Fort Simpson, NT. Canx 18-Aug-1986. • C-FIUY 239665 AB Ltd., Calgary, AB. Canx 15-Oct-1986. 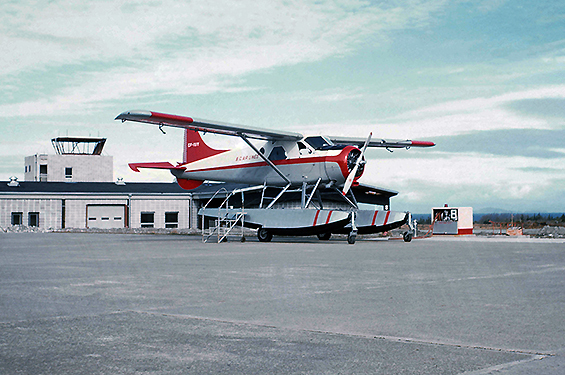 • C-FIUY McCully Aviation (1986) Ltd., Nanaimo, BC. Regd 15-Dec-1986. Canx 006-Jan-1987 and 12-Oct-1988. 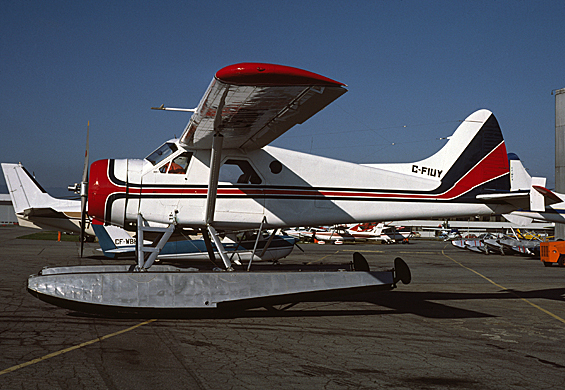 • C-FIUY) Air Rainbow Ltd., Nanaimo, BC.. Regd 12-Oct-1988. Canx 24-Feb-1993. Regd 24-Feb-1993. Canx 17-Nov-1993. • C-FIUY Air Rainbow Mid Coast, Port McNeill, BC. Regd 21-Dec-1993. Canx 27-Oct-1994. Regd 27-Jan-1999. Canx 25-Jul-2000. 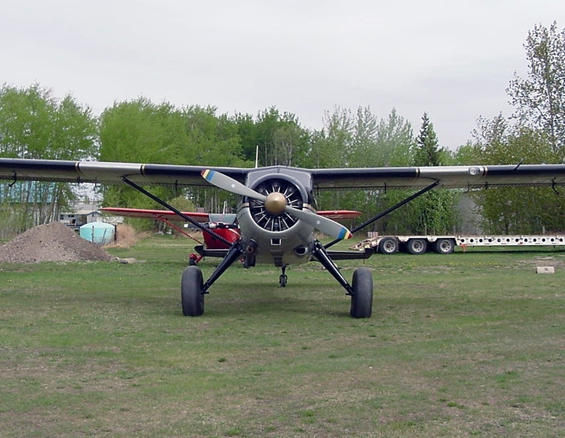 • C-FIUY Avnorth Aviation Ltd., Nimpo Lake, BC. Regd 25-Jul-2000. Canx 30-Aug-2001. • C-FIUY Rick Henderson Mechanical Services Ltd., Fort St John, BC. Regd 30-Aug-2001. Canx 05-Nov-2003. 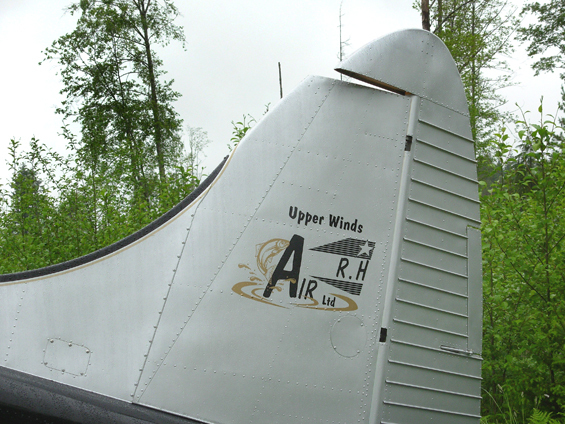 • C-FIUY Upper Winds Air Ltd., Fort St. John, BC. Regd 05-Nov-2003, 17-Aug-2005 and 29-Jun-2006. Regd 08-Feb-2008.